Custom swim team towels create a sense of team spirit. In the competitive swimming field, most people are aware of the need for the right swimwear, along with goggles, a swim cap and other essentials. However, many people forget about the towels. When you’re shopping for swim team gear, custom swim team towels should be at the top of your priority list. When you add custom logos, everyone will know which towels belong to your team and increase the level of team spirit. If you want swim team towels with custom logos for swim teams woven directly into the towel, we can create it for you. You choose the two colors for the towel and your logo will be woven into the makeup of the towel. You won’t need to worry about the colors fading or washing out. Everything is one solid piece. One of the most affordable options for custom swim team towels is the printed towels. When you order these swim team towels by D&J Sports, you can select any swim team logo you want, as well as a large variety of colors. Screen printing offers the chance to easily create a logo with any number of colors to generate the exact look you want from your team’s towels. We also offer a third option for customizing your swim team towels. Embroidery can offer a classy look to your swim team towels. While you are limited in the number of colors you can choose, you can create a number of logos and even put a swimmer’s name right one the towel. All of these towels are constructed of 100 percent cotton for a soft feel. Custom swim team towels are a great option if you’re looking for another way to extend team spirit. If you want your team to have a competitive edge, you need to make sure they feel unified as a team. Even if you don’t currently have a logo, we create custom logos for swim teams. The swim team towels by D&J Sports are designed with comfort in mind, as well as the ability to customize it to meet the needs of your team. We can even add a name to any towel you order, helping your team members differentiate between their towels by the pool. If you’re looking for custom swim team towels, contact us. We provide a vast selection of towel and customization options to create towels your team can be proud of. 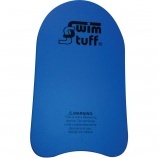 The Swim Stuff Kickboard 2.0 is an essential training tool element. Swim kickboards are an essential tool for any swim team that wants to train their swimmers to be more powerful in the water. When swimmers use these kickboards, they are able to focus on strengthening their kick and their lower body muscles so they can work less in the water without losing forward propulsion. Whether you need to replace your older kickboards or you’ve never had any, the Swim Stuff Kickboard 2.0 is an incredible option for your team. The swim kickboard is one of the most important tools swim team coaches can use to train their swimmers. The kickboards available from Swim Stuff are the perfect size for both adults and children, making it a versatile tool to have in your arsenal. Instead of having two sets to ensure you have the right size, you only need one. With rounded edges for a comfortable grip and a streamlined design, this tool allows swimmers to work on their performance without slowing them down in the water. As a swim coach, it is essential to provide a wide variety of training tools. Each of your swimmers will need to use each of these tools at some point. Different swimmers will require different tools at different times, though. This is why having a large number of the same training tool can be helpful. 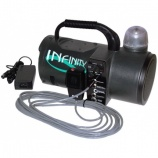 The Swim Stuff swim training tools are some of the most affordable tools on the market. The Swim Stuff Kickboard 2.0 is available in a full rainbow of colors so you can easily find one that matches your swim team’s colors. Some of the incredible colors that are available include Kelly green, red, blue, purple, yellow, pink and orange. Choose a combination of colors, pick one for each swimmer in your team or buy all the same color to provide a better sense of team spirit. Having a good kickboard can be the perfect tool for helping swimmers to strengthen their technique in the water and thus perform better. The Swim Stuff Kickboard 2.0 is a cost-effective tool with plenty of color options so you can choose the ones that best suit y9our team’s sense of style. When you have a set of these kickboards on hand, you will always have the right tools when your swimmers need them. Warm-up jackets are the perfect way to keep your team warm between races. The weather isn’t always warm enough to run from the locker room to the pool. Even when it is warm enough, you may need to keep your muscles warmed up from your pre-swim exercises. No matter what the case, the perfect way to give your team a unified look when they aren’t in the pool is with one of the three new swim team warmups available from some of the top names in swimwear. If you are just looking for a warm jacket for your team to wear on their way out to the pool, between races or even after the meet or practice, the Dolfin team warm-up jacket can be a great option. This jacket is made from 100 percent polyester and comes in black with white accents for a crisp look. 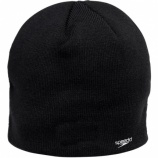 The jacket also features two zippered pockets, an MP3 player opening and a neck loop for the ear bud wires. This allows for easy listening when you are trying to relax before or after your meet. A comfortable collar and the embroidered Dolfin logo complete the jacket. If you are looking for a full warm-up suit with pants and a jacket, the Arena Throttle warm ups are a great option for your swim team. This set is made from a 100 percent polyester shell with a mesh lining for better air flow and comfort. The jacket features two zippered pockets and the Arena logo on the front and printed down the centers of the sleeves. This warm up suit is available in four colors, including white, black, navy and royal blue, to allow you to choose the best one to match your team colors. 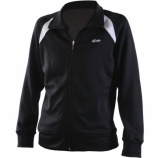 Speedo also offers a brand new warm up jacket option for women: the Speedo Boom Force warm up jacket. This jacket is made from 90 percent polyester and 10 percent spandex with a full lining to provide the utmost warmth and comfort for the wearer. This jacket is a great option for many teams because of the number of colors in which it is available, including black, navy, black/red, black/green, navy/red and sapphire, so you can choose the option that matches your team colors. With these new options for warm up gear, your swim team is sure to remain warm and ready to go on the sidelines of the pool. Choose the one that best fits the needs of your team. Providing your team with essential training gear is important. When you are the coach of a swim team, you want your team to be the best it can be. This means providing your team with all the tools they need to increase their endurance and enhance their skills as they work toward greater things. When planning for what you need to train your team to be the best they can be, there are certain pieces of equipment you must invest in. This will ensure your swimmers will grow stronger and improve continually. 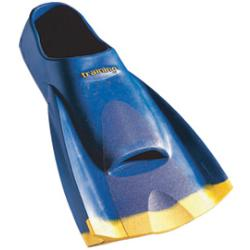 Swim fins and paddles can be an excellent tool to build strength and endurance in swimmers. Because of the wide flaps on the fins and paddles, there is more resistance against the water. This increased resistance causes a swimmer to have to kick or stroke harder for the same results. When you work harder, you will be building your muscles and increasing their endurance so you will have an easier time swimming through the water when you aren’t wearing them. Another important training tool for your swim team gear is the pull buoy. These devices are kept between the swimmer’s legs to restrict their use. When you are using a pull buoy, it will force you to use your arms to propel you through the water as much as possible, helping you to strengthen the muscles in your arms. This increase in upper body strength is crucial to your swimming success. Stretchcordz are yet another useful tool to keep in your swim team gear arsenal. These stretchcordz come with a belt that wraps around your waist. You then hand onto the handles at the ends of the elastic cords as you swim. The cords move freely around the belt, giving you free range of motion. However, the resistance the cords create will allow you to increase your arm and upper body strength to improve your swimming. Providing all the swim team gear your team needs to train will ensure they have all the tools necessary to be successful swimmers. It is up to you to ensure your swimmers are trained in the best way possible. With the help of these important tools, your swimmers will see great improvement as they go through their training exercises. When they hit the pool, they can be confident in their strength, endurance and skills so they will do the best they can against their competitors.